The best software doesn’t get in the way. It has robust data acquisition, the analysis required, and is flexible because your customers have different specs and reporting needs. REVEAL™ is easy to learn and built to grow with you into the future. Form and Radius of Curvature are fundamental parameters of optical surfaces and are the foundation of REVEAL™. 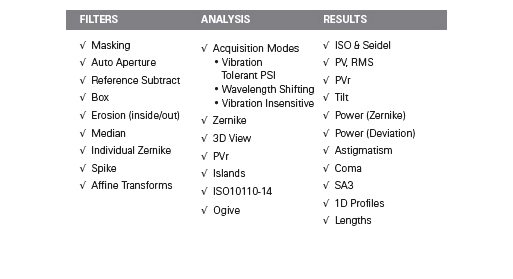 ISO standard results, filters, masking, and various acquisition modes are found in BASIC. Also all measurements have traceable metrology, where the analysis tree, including filtering and masking, is stored so you know how the data was created. 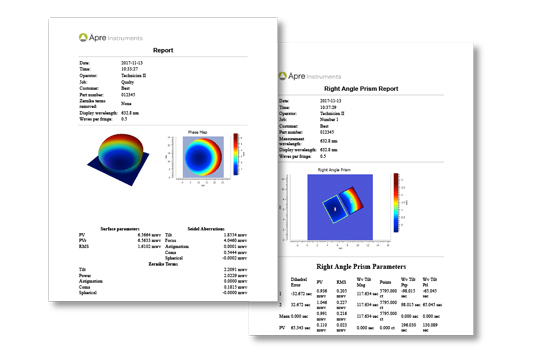 REVEAL™: Traceable software with the data acquisition and analysis you expect and need. A report demonstrates your parts are ready to ship, in the format your customer wants; it is the last step in the manufacturing process. Just one click away are standard or a library of reports built by you using the simple HTML editor. No more screengrabs, just click and print. Each technician can print the same report from your company’s library. 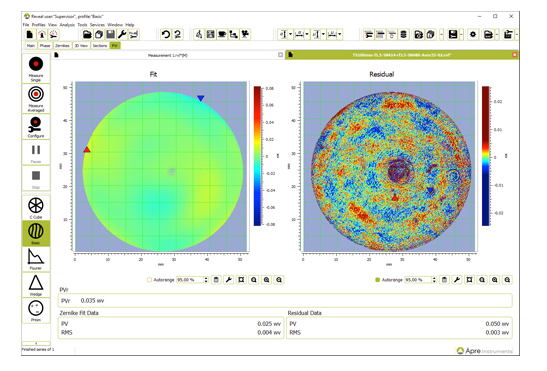 Image assessment and the growing importance of mid-spatial frequency analysis have raised the need for advanced Fourier analysis. 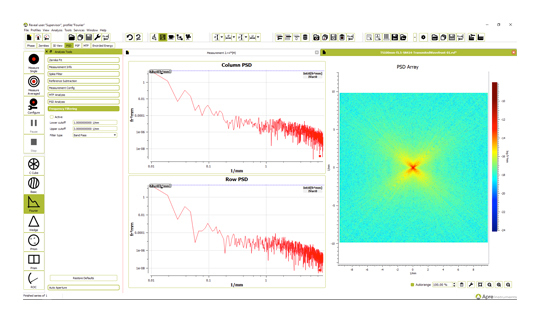 Modulation Transfer Function (MTF), Power Spectral Density (PSD) and Point Spread Function (PSF) analysis combined with frequency filtering pulls out hidden data. 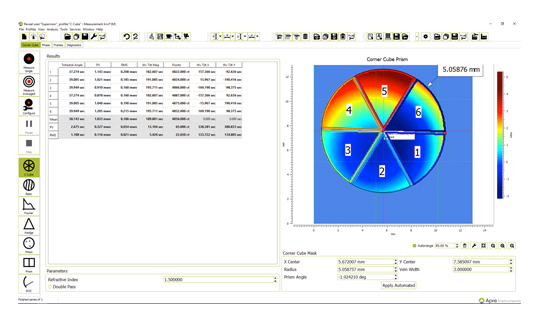 Prisms, flats, corner-cubes, diamond turned surfaces and bulk material properties require custom analyses. 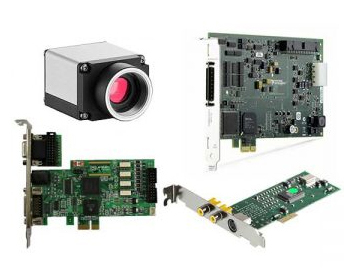 Optical Shop Testing is a group of testing profiles gathered in one place so you can quickly measure these complex parts. The clean Internet browser-like user interface has no overlapping windows to get in the way, and 64-Bit has no memory limitations. Add .dat format compatibility plus modern .h5 file formats… REVEAL brings modern benefits, yet is compatible with your historic data. REVEAL™: A user interface you feel comfortable with, 64-bit operating system and file formats compatible with your historic data.